Barcelona have made contact with the representatives of Manchester United midfielder Juan Mata as they weigh up a move for the Spain international. The Spain international is also interesting Juventus and Paris Saint-Germain as his contract continues to run down at Old Trafford. Goal understands Barca are interested in bringing Mata to Camp Nou this summer, with the 30-year-old available on a free transfer at the end of the season as his contract at Old Trafford runs down. Juventus and Paris Saint-Germain have also shown an interest in the former Chelsea star, meaning there is likely to be a battle for his signature should he fail to sign a new deal with the Red Devils. It is understood that Man Utd remain in discussions with Mata relating to a new deal but there has yet to be a positive conclusion reached, though they remain hopeful they can persuade the Spaniard to remain at Old Trafford beyond this summer. The club triggered a one-year option in his current deal to keep him until July 2019, but interest from elsewhere could see his head turned. Mata’s current contract sees him earn £140,000-a-week, but the fact that his signing would involve no transfer fee means Barca see him as a bargain among an ever inflated market. The Blaugrana have already secured the services of one midfielder for next season after completing the €75 million (£65m/$85m) capture of Ajax’s Frenkie de Jong on Wednesday. They continue to be linked with PSG’s Adrien Rabiot, who is also set to be available on a free this summer, with Ernesto Valverde keen to bolster his options in the middle of the park. Having joined Man Utd in January 2014, Mata has made 208 appearances for the 20-time champions of English football, scoring 44 goals and contributing 35 assists. He has struggled to hold down a regular starting berth under any of his three permanent managers at the club, with just nine of his 15 league appearances this season coming from the start. Since Ole Gunnar Solskjaer took the reins following Jose Mourinho’s sacking Mata has found himself on the bench more often than not, with the Norwegian coach prefering a front three of Jesse Lingard, Anthony Martial and Marcus Rashford. As such it is difficult to see him having a medium to long-term future with the club, and a move away might be in his best interests. Mata did come through the Real Madrid youth system before moving to Valencia at the age of 19, and a potential move to Catalunya would mark his first return to Spain since leaving Mestalla for Chelsea in 2011. 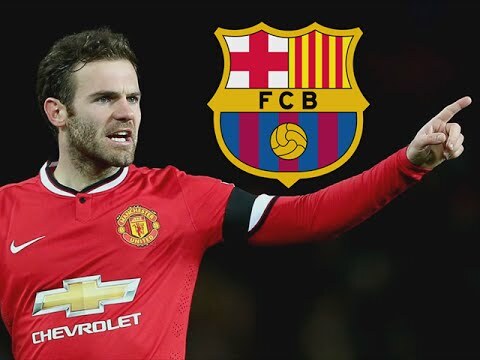 Should Manchester United consider selling Juan Mata to Barcelona or he is a very important player at the club and he needs to stay?